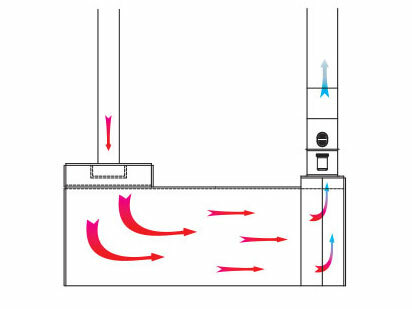 The semi-downdraft booth is a hybrid, combining features of both crossdraft and downdraft booths. Air is introduced into semi-downdraft paint booths through ceiling in the first 25-30 percent of the booth. It’s then pulled through the working chamber, over the vehicle and into the filtered exhaust chamber at the booth rear. The Ultra XS automotive paint booth delivers the quality and performance you’ve come to expect from GFS’ Ultra Booths in a durable, single-skin design. One of GFS’ most popular automotive refinish booths, the Performer® XD spray booth surpasses all others in its class. With a high-efficiency heater, intuitive control panels, superior lighting and excellent contamination control, the Ultra XD automotive spray booth leads the industry in versatility and performance. want to learn more about semi-downdraft paint booths?